See more pictures at the NYT link, above. As the granddaughter of the Baron and Baroness Alphonse and Clarice de Rothschild of the banking and collecting dynasty, Bettina Burr recalls being mesmerized by one of the couple's storied paintings. 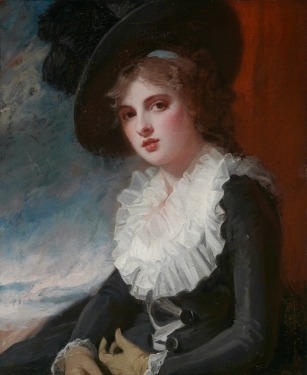 The work, by the English portraitist George Romney, showed his muse, a coquettish young Emma Hart, the mistress of Lord Nelson, dressed in frills and wearing a jaunty hat. "I remember stopping and just staring," Ms. Burr said. "She has so much allure, you couldn't help but ogle her." The painting, confiscated by the Nazis in 1938 along with some 3,500 other treasures from the family's palaces, was discovered in Austria's salt mines by Allied forces after the war. Returned to the Rothschild family in 1947, it is among 186 pieces of jewelry, jeweled boxes, furniture, prints, drawings, miniatures, paintings and rare books that Ms. Burr and other family members are now donating to the Museum of Fine Arts, Boston. About 80 of the items will go on view at the museum on Sunday in "Restoring a Legacy: Rothschild Family Treasures," which will recount how the objects were collected, looted and finally recovered by the Austrian wing of the family. The plundered objects were returned in three tranches. In 1947, after Ms. Burr's grandmother traveled to the mines to identify her family's art, most of the vast collection was given back. In exchange for permission to export it to the United States, where the family by then lived, she was required to donate about 250 objects to Austria. 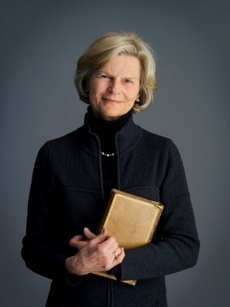 Ms. Burr's mother, the Baroness Bettina Looram de Rothschild, received those works only after Austria passed a national restitution law in 1998. The next year the family sold more than 200 of the most valuable pieces at auction for nearly $90 million. The books in the collection, which had been sent to the Austrian National Library, were restituted in 2004. Almost all of the pieces that remained in family hands are included in the current gift to the Museum of Fine Arts, including 14 promised items — like the Romney painting and some furniture — that will not be transferred to the museum until Ms. Burr's death. "I'm delighted that after a long and moving story, these pieces are finally coming home to a place of rest," said Ms. Burr, who has been involved with the Museum of Fine Arts since 1996, when she became a volunteer tour guide. She was elected a trustee in 2006. "These objects are beautiful, and many are the kinds of things that we don't now have in the museum," said Malcolm Rogers, director of the museum, specifically citing the 18th-century gold boxes, other curios and illustrated books. "There are some absolute classics, like the handbook of Chippendale," the renowned 18th-century furniture maker, he said. Among the items are 14 that had been selected for Hitler's Führer Museum in Linz. They include a 17th-century painting of a nobleman attributed to Nicolaes Maes, Dürer's engraving of the Coat-of-Arms of Death and three pieces of French 18th-century furniture. The gift all but closes the book on a collection that was started in the mid-1800s by Baron Nathaniel von Rothschild and his brother, Albert, and became entwined with 20th-century history. The Baroness Clarice's jewelry escaped seizure because she had taken it with her to London in 1938 when the confiscation occurred. Among the pieces headed to the museum are an Art Deco carved emerald-and-diamond brooch that was a gift from her husband for their 25th wedding anniversary on Nov. 20, 1937, and a platinum necklace, with nine large pear-shaped diamonds that can also be worn as a tiara. The museum declined to estimate the value of the gift. But Gerald Stiebel, an art adviser who recently closed his family's gallery, which had sold many art works to the Vienna Rothschild family (and later for them), reviewed a partially illustrated list of the 186 items and said they were worth "several million dollars." Closer inspection, he added, might cause him to revise that estimate upward. The items in the exhibition opening Sunday are intended to evoke "the Rothschild taste," which Thomas Michie, the senior curator for European decorative arts and sculpture, described as opulent high-style French 18th-century, "palatial when all together." Yet the full story of the Austrian Rothschild collection may never be reconstructed. "There are still pieces in the wild blue yonder," said Ms. Burr, adding that the Art Loss Register, a private database of lost and stolen art works, "has listed about 60, and I have a big file, pages and pages, of 3,500 pieces." "Many have descriptions like 'picture of a cow in a landscape,' " she said, "and they are impossible to find."